In today’s complex society, with the need to meet the demands of a growing population, efficient pipe system infrastructure plays a vital role in terms of convenience, comfort, and safety for society. Rapidly increasing growth in the use of plastic pipes in new piping systems and for the replacement of non-plastics materials in older piping systems is a clear indication of their economic advantages. Although this economic advantage is now also complemented by reliable scientific evidence that, in general, plastic pipes also offer a lower environmental footprint than the alternatives. The scientific assessment conclusion states that the environmental impact of plastic pipe systems throughout the life-cycle, from cradle to grave is in fact, for most applications and in line with most environmental standard, lower than non-plastics pipe materials, hence demonstrating that choosing plastics pipes is the right choice for protecting and preserving the environment. It is a broadly held idea that plastics are challenging to manage at their end of life. In general, plastic pipes are either highly recyclable into new products or a viable source of a calorifically rich fuel that can be used in place of oil for the generation of power or heat. The primary limitation to increasing the volume of recycling of plastic pipes is their lack of availability due to their durability and extremely long life expectation (100 years+ in certain applications). 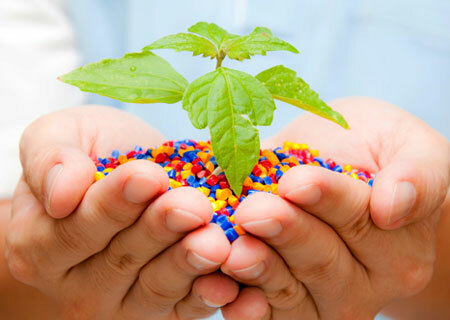 The plastic pipe industry is playing an increasingly valuable role in the overall sustainable development of society by manufacturing new pipes that contain a percentage of recycled materials thus taking in recycled plastics from other plastic pipes and other applications as well.